Gamers around the world woke up today to a surprise announcement from Microsoft. The Xbox One Elite Bundle was unveiled, and boy is this one awesome bundle! Sporting a sleek matte finish, and a blazing fast 1 TB solid state hybrid drive, the Xbox One Elite Bundle will please the most demanding gamer. 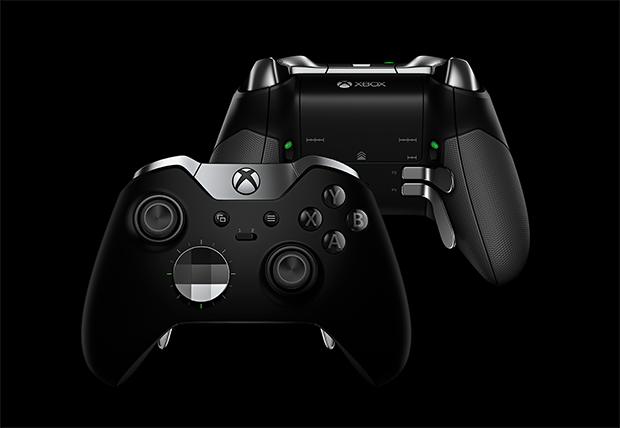 Fans will be treated to the supercharged, premium Xbox Elite Wireless Controller with every bundle. Giving gamers fully customizable features, interchangeable paddles, hair trigger locks, and even further customizations using the Xbox Accessories app. So what will all these new bells and whistles do for your gaming experience? Let me tell you, with a blazing fast 1 TB solid state hybrid drive, loading times for everything will be dramatically improved. The most frequently accessed files will be stored on the solid state partition, allowing you to get into your games that you love even faster. You'll even notice that waking the Xbox One up from energy-saving mode is improved. Compatible with both Xbox One and Windows 10, the Xbox Elite Wireless controller was was created with comfort, durability, ergonomics, and rubberized diamond grips, that wont cause you a problem for those long gaming sessions. My good friend Paul Hunter, from Best Buy Canada's Plug-in Blog, went hands on with the Xbox One Elite Wireless controller at E3 this year, see his impressions of this fantastic controller here. Available worldwide in November, the Xbox One Elite Bundle will be priced at $549 CAD and is available for pre-order from the Microsoft Store . In the US, the Xbox One Elite Bundle is priced at $499 USD, and for the month of November, starting November 3rd, it will be exclusively sold through GameStop.com and MicrosoftStore.com .